There is a higher average life expectancy for the general population and this is currently still an upward tendency. Legal- ; political; socio- economic environment. Insufficient Government Funding in certain sectors. Estate planning is usually relevant with regards to rules and regulations that come into play when someone passes away. Financial planning in the narrow sense refers to the planning with regards to the assets and liabilities in effect before someone passes away. Estate planning can therefore be seen as a branch of financial planning. The Attorney is usually responsible for the drafting of legal documents, which are necessary and central to effective estate planning. These documents can be a variety of instruments such as wills, contracts, trust deeds etc. A specialist attorney (being a conveyancer) is furthermore responsible for the transfer of properties. There might also be a need for the establishment of companies in some instances. A Financial Advisor will assist with financial advice such as investments, annuities, insurance policies etc. It is always a good idea to make use of responsible, properly qualified and well-established advisors with a good reputation to assist you with your financial planning. Most people do not realize the importance of having a proper will which compliments your financial portfolio. There are also strict formalities for a valid will. If a document purports to be a will, but do not adhere to the formalities as set by law, it might be invalid and of no force and effect. This is why it is important to ask a professional person to draft your will. One of the most important gifts you can give your family and loved ones is to leave an organized estate behind. In an emotional time such as loosing a loved one, your family does not need the extra burden of having to worry about finances and the administration of your estate. Ensure that you have a proper will and that it is updated regularly. This document can provide a list of key instructions for your family members / survivors to follow. For instance it can contain instructions pertaining to your wishes for your funeral, important people to be contacted and their contact numbers. Where your will and important documents can be found. A trust is a legal entity, which can hold property designated by you for your own benefit and/or the benefit of your loved ones. 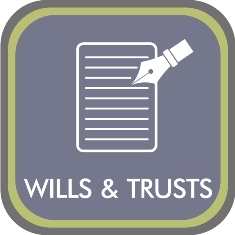 This document becomes especially relevant where you want to protect certain assets (in life) or even if you want to create a testamentary (mortis causa) trust to look after your minor children or other dependents when you have gone. This is a document that enables you to speak for you when you become too ill to speak for yourself. Proper estate planning might well be the most important legacy you may ever leave your family. When you have gone you cannot undo what has not been done! VERSTER-ROOS INCORPORATED ATTORNEYS & CONVEANCERS can assist you with your estate planning and/or administration of your / a loved one’s estate. Please do not hesitate to contact us. Are you in need of a will? Interested in establishing a trust?